As a trusted leader in merchant services, we’re committed to providing outstanding advocacy for our customers. Our goal is to help protect merchants from inflated rates and eliminate hidden fees. Merchant Advocate is recognized as the premiere expert in the processing industry with a consistent record of advocacy on behalf of the merchant. We pride ourselves on helping thousands of businesses reduce rates and eliminate unnecessary fees and save money immediately. We regularly monitor your account to ensure you keep your savings. Our unparalleled expertise in the processing industry will help transform your business. We are committed to driving fairness and transparency in the merchant services industry. 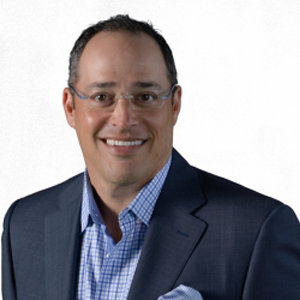 A veteran of the finance industry, Eric Cohen founded Merchant Advocate in 2007. After his extensive experience in the merchant services industry, he was determined to create a fair value proposition and transparency for merchants with their credit card processors. He established Merchant Advocate to act as a trusted advisor on behalf of all size and categories of businesses. As the CEO and founder of Merchant Advocate, Eric leads the team with passion that comes from saving merchants over $100MM. He is always striving to help business owners save money. His unique vision has driven the development of an entirely new industry of Advocacy in Merchants Services. Prior to founding Merchant Advocate, Eric held various sales and training positions in the industry, gearing up for the formation of his own organization as an independent advocate for merchants. Eric earned his undergraduate degree in Communications from Rutgers College and his MBA from the Graziadio School of Business and Management at Pepperdine University. Eric lives in New Jersey with his beautiful wife and three adorable daughters. 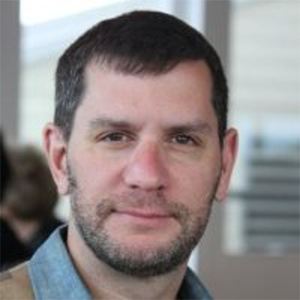 Len Cohen joined the Merchant Advocate Executive Team in 2008, where he was able to apply his strategic thinking and evaluation skills. Len took over day to day operations and today, leads the administration as the Chief Financial Officer. He has been a integral part of building the Merchant Advocate business from the ground up. Len oversees the risk management, legal and financial activities for Merchant Advocate and directs operational efficiencies to meet budgets and financial goals. Len is known as a skilled manager with excellent analyzation and business traits. Before joining MA, he held laboratory and management positions at the New York Branch of the Ludwig Institute for Cancer Research, where he spent 15 years attempting to cure and control cancer through immunological means. Len earned his undergraduate degree in Psychology, with an emphasis in neuropsychopharmacology, from Rutgers College. He also holds a master’s degree in Molecular & Cellular Biology from Hunter College and an MBA from the Zicklin School of Business at Baruch College. He is a co-author of 17 peer-reviewed publications and holds 3 US patents, with several US and international patents pending. Len lives in New Jersey with his wife and is the father of one wonderful boy. Danielle Bottari Cohen is an experienced global business professional, with a deep understanding of Business Strategy & Intelligence. Danielle is known as a strong client business partner with a reputation for driving innovation and investment. Having spent time on the agency, sales, and client side of the business, she is both a skilled negotiator and a closer with proven business developement skills. As Chief Operating Officer for Merchant Advocate, Danielle oversees all operations, marketing, product development and business strategy. 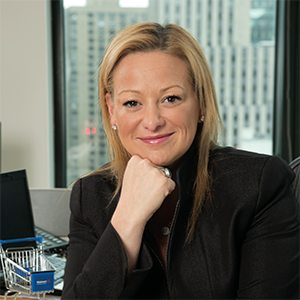 Previously, Danielle worked as Senior Vice President at MediaVest, where she was the Director of the Shopper Marketing team and of Team Walmart’s Retail Strategy & Intelligence Team. She oversaw the design and development of strategic programs and partnerships for Walmart’s Category Marketing teams and leads MediaVest’s Retail Development Kit (RDK) initiatives. Danielle also led MediaVest’s Shopper Marketing practice, working with Coke, Mondelez, Heineken and P&G to name a few. Danielle’s team was responsible for designing Human Experiences based in actionable insights. Working across multiple brands and disciplines, the Shopper Marketing team plans and buys all media including focused expertise in digital, social, and mobile.Danielle also held positions as Chief Operating Officer for Max Custom Media & Partner Group Director for MindShare Worldwide. She obtained her BA from the University of Vermont. She is married with three beautiful daughters and a dog. Dr. Robert Mordkin is a Board Certified Urological Surgeon and Fellow of the American College of Surgeons. He is a graduate of the University of Southern California and former faculty member at Georgetown University. Most recently, he serves as the Chief of Urology at the Virginia Hospital Center. 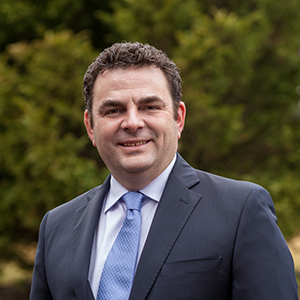 Dr. Mordkin was first acquainted with Merchant Advocate as a client, and he applied their services to provide cost savings at the Advanced Surgery Center of Bethesda and at the Virginia Hospital Center. 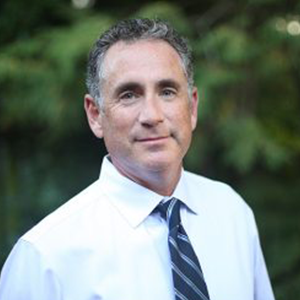 As a healthcare leader, he is intimately familiar with the current market forces stressing providers of healthcare including physician groups, hospitals, surgery centers and chronic care facilities. Based on his own experience with Merchant Advocate, he joined Merchant Advocate Health as an advisor with the mission to provide merchant account optimization for this unique business sector. Jeff Shavitz is a finance expert, leader in merchant services, business development guru and celebrated best-selling author. In 2001, he co-founded Charge Card Systems, Inc. (CCS), a national credit card processing company based in Boca Raton, FL that grew to over 600 salespeople. In 2012, he sold CCS to Card Connect, owned by FTV Capital, a private equity firm rolling up merchant processing companies in the space. Jeff served as a consultant for 2 years to the senior management following the sale and in June 2017, First Data (one of the largest credit card companies in the world) acquired Card Connect for $750MM. During his tenure in the payments space, his largest niche marketplace has been the healthcare industry including hospitals, solo practitioners, medical groups and associations (including for profit and non-profit). Prior to the merchant services industry, Jeff worked at Lehman Brothers in its investment banking division working on corporate finance and M & A work. Jeff also enjoys writing. His first book, “Size Doesn’t Matter—Why Small Business is Big Business,” hit #1 on Amazon in the business and entrepreneurship categories. He has published five other business books plus one lifestyle book that he co-authored with his daughter called “Mom & Dad – I Promise I’ll Get Into College”. In addition to his books, he is a contributing writer for Entrepreneur Magazine and The Business Journals. He is also a columnist and a member of the Advisory Board for The Green Sheet, the leading trade publication in the payments and industry and a member of the First Data ISO Advisory Board and First Data President’s Council. Jeff received his Bachelor of Arts degree in Economics from Tufts University and studied finance at the London School of Economics. He is married with three children, and his personal goal is to play the top 100 golf courses in the USA.